TORONTO: Four people, including two police officers, were killed in a shooting in the eastern Canadian city of Fredericton and one person was taken into custody, police said on Friday. 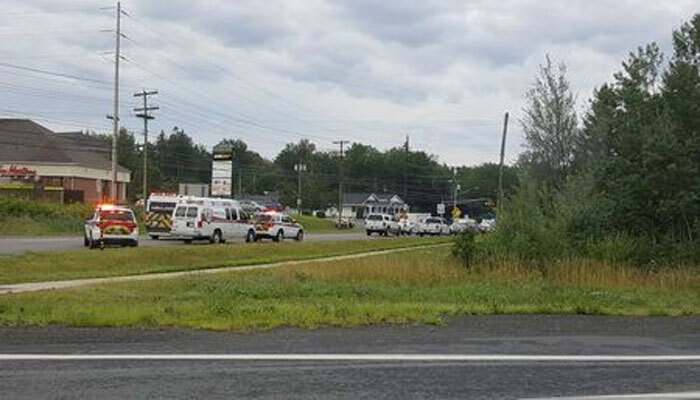 Police in Fredericton, a city of about 56,000 that is the capital of the province of New Brunswick, said in a post on Twitter that the incident was under investigation and there were multiple fatalities. Another police tweet said two of the four people killed were police officers but gave no details and did not release the names of the victims. Local media images showed emergency vehicles converged on a tree-lined residential street. Gun laws in Canada are more strict than in the United States but a proliferation of weapons has led to an increase in gun crimes in recent years. "Awful news coming out of Fredericton," Canadian Prime Minister Justin Trudeau said on Twitter. "My heart goes out to everyone affected by this morning’s shooting. We’re following the situation closely." Three Royal Canadian Mounted Police officers were killed and two more were wounded in 2014 in Moncton, New Brunswick, about 195 km (121 miles) from Fredericton, in one of the worst incidents of its kind in Canada. Last month, a gunman walked down a busy Toronto street, killing two people and wounding 13 others before turning his weapon on himself. Toronto, Canada's largest city, has had 241 shooting incidents this year, resulting in 30 deaths, a 30 percent increase in fatalities. On Thursday, Ontario pledged more money for police and to keep suspects behind bars while they await trial on gun crimes charges, as the Canadian province grapples with rising shootings involving domestically obtained weapons.